Bed bugs are small brownish insects that feed on the blood (their only source of nutrition) of humans and warm-blooded animals. These bloodsucking pests could take over your mattress, floors, ceiling, and walls in no time, especially if you let them be for a long period of time. An infestation could be easy to detect, but getting rid of them is another problem. In fact, they could survive up to a year without feeding. Their bites aren’t deadly, but should still be a cause of concern because they could cause skin rashes and allergic reactions. Reactions vary from person to person, so symptoms may or may not be easy to catch. 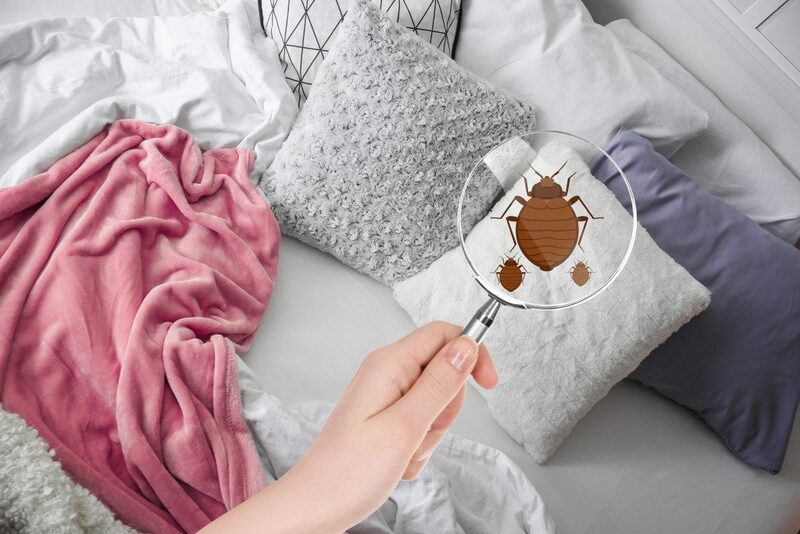 Nonetheless, the presence of bed bugs themselves can cause anxiety, stress, and insomnia because the person living in the house is hyperaware of what could happen. Bed bugs are more than a mere annoyance. Aside from the fact that they’re resistant to pesticides and could make you itch all over, they can actually make you sick. According to a recent study, chemicals released in these pests’ poop can affect your immune system. Researchers at North Carolina University took samples of dust in homes that have been infested by bed bugs. What they discovered in the samples were large amounts of histamine, about 20 times higher than those not infested. Histamine is a naturally-ocurring chemical in the body. Released by the immune system, it responds to allergens and pathogens, causing you to sneeze, get watery eyes, or itch so you can puff out these foreign substances in the body. Apparently, bed bugs also release histamine — in their feces. Experts say that exposure to such high levels of histamine over a long period can cause allergic reactions and make people more susceptible to allergens. If you have a history of asthma or any respiratory condition, the risk and symptoms could be worse. This points to the importance of a thorough bed bug treatment to get rid of lurking chemicals and restore a home sweet home. Heat treatments are one of the most effective solutions to pest problems. According to Custom Bedbug and experts in pest control, bed bug heat treatment entails increasing the temperature of the room from 135°F up to 145°F. Licensed professionals place thermometers around the space to make sure that the right temperature is achieved. This typically lasts for about six to eight hours. After the treatment, the experts would put residual insecticide around your home as a preventive step. It’s best to note that during treatments, along with the pests that you’re trying to kill, anything that’s heat-sensitive would melt. Your contractor should be able to advise you which stuff to pull out before the treatment. These include televisions, computers, fire extinguishers, wax- and paraffin-based items, wooden and string musical instruments, and indoor plants. A bed bug infested house is never a healthy, safe home. Your family may be at risk for illnesses because of these pests lurking at your house. Bring back the ‘home sweet home’ by heating up those bugs.